Zeeshan is the managing director of 10Pearls offshore operations and manages overall service delivery to clients globally. As a co-founder, Zeeshan has built high performance teams, balanced with an innovative and fun work culture. Zeeshan possesses cross-functional skills with hands-on management experience and has successfully delivered various large-scale technology projects. 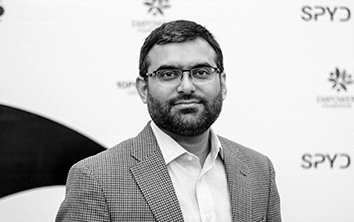 Prior to 10Pearls, Zeeshan worked with Malaysian and Indian companies, where he was responsible for implementation of enterprise applications globally. Zeeshan has a Bachelor in Technology Management from Istanbul University, Turkey, and an MBA from the Institute of Business Administration. He lives in Karachi, and shuttles between Washington DC, Karachi and other locations.